Come join us for an all-levels, 60-minute, vinyasa-based yoga class lead by Stephanie Coggins(Kelly), local Yoga Teacher! 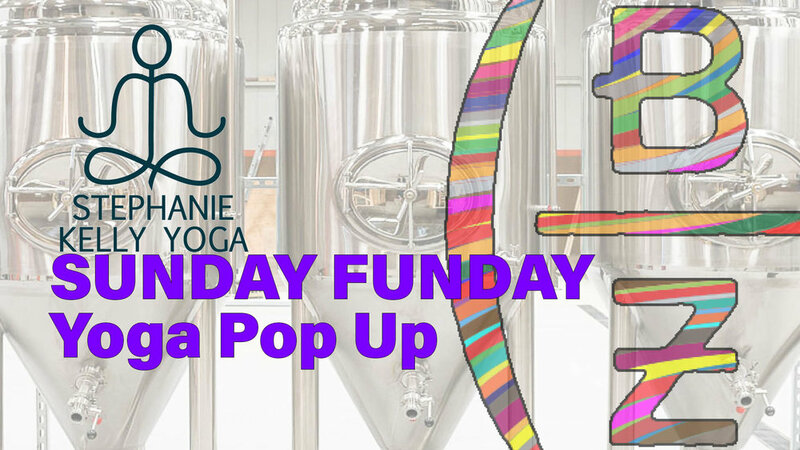 Your $25 ticket includes yoga class + pint of BHZ beer. Please bring your own yoga mat. Doors will open at 10:15am and class will begin at 10:30am. Little Birdie Jewel will also be here. They specialize in mala beads that each carry a special meaning + intention. Malas have been used for centuries to help their owners set intentions, meditate in the moment and get in touch with what they truly want to manifest in their lives. Wearing your mala makes you feel more grounded in who you are and gives you a visual reminder to keep your daily intentions. Only 30 spots available, sign up now!